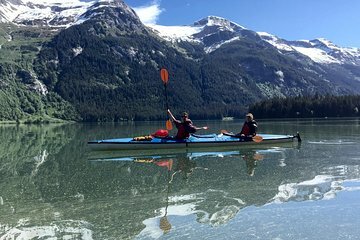 When your cruise ship docks in Haines, discover the wildlife of Chilkoot Lake on a half-day kayak tour. Your guide provides instruction and all necessary equipment for this tour, which uses stable double kayaks and affords a memorable experience of Alaska's pristine wilderness. Suitable for beginning and experienced kayakers, your tour allows for great photo ops of forested mountains and waterfalls, and the chance to spot brown bears, bald eagles, and more. Includes lunch, guide, round-trip transportation from the Haines cruise port.